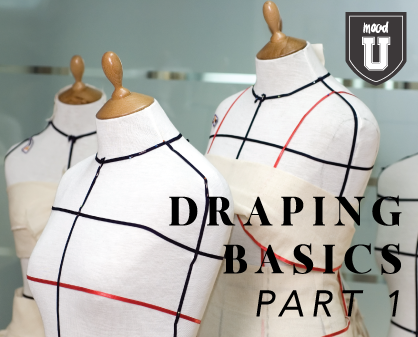 In this Mood U 6-Week Draping Basics Part 1 Course you will learn will the fundamental rules of draping on the dress form. Creating basic patterns for a bodice, skirt & dress. Students will be guided in transferring their draped muslin onto pattern paper and fine tuning their pattern shapes. At the completion of the 6-week course, students will have finished both muslin drape work and paper patterns. We will guide you in achieving a perfect fit and finish with all your patterns to use as a basis for future projects and Mood U workshops.